Will a bubble suit stop you from scoring? Zorb football took off in 2015 and has grown ever since! 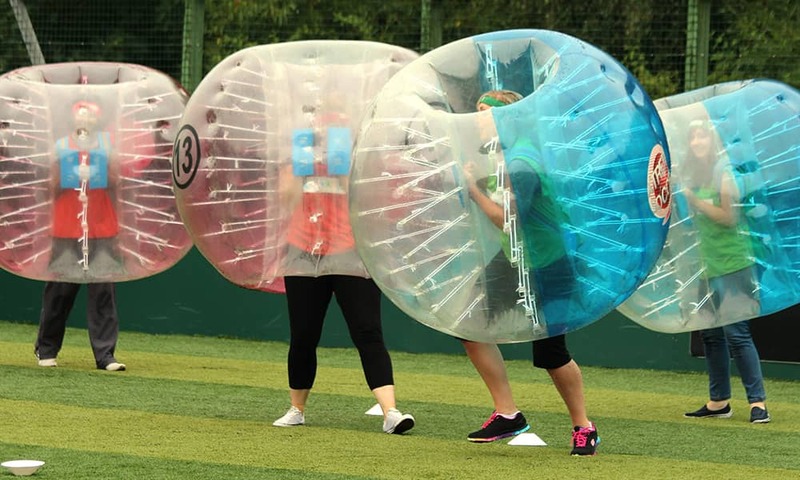 Add a bubble zorb to a football match and you bring a new meaning to funny! 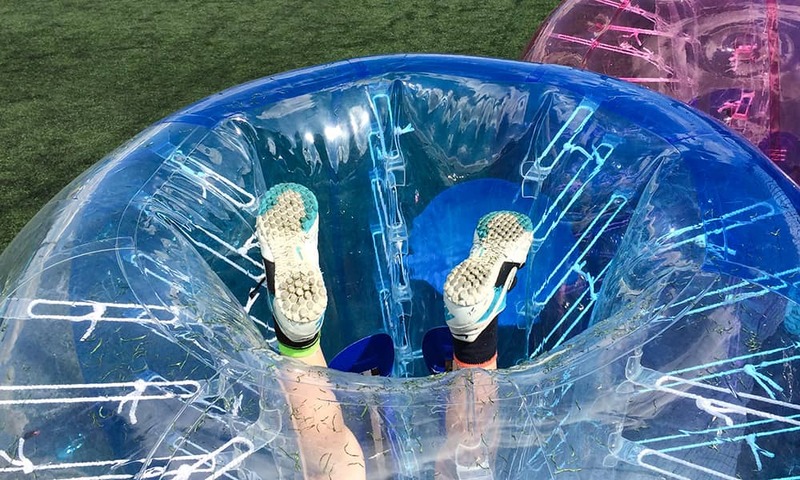 Encased in the zorb football, you're as much a spectator as you are when participating. Between bumping your opponents, trying to kick the ball, catching your breath between fits of laughter and wiping the sweat from your forehead, you're going to have a pretty busy time! 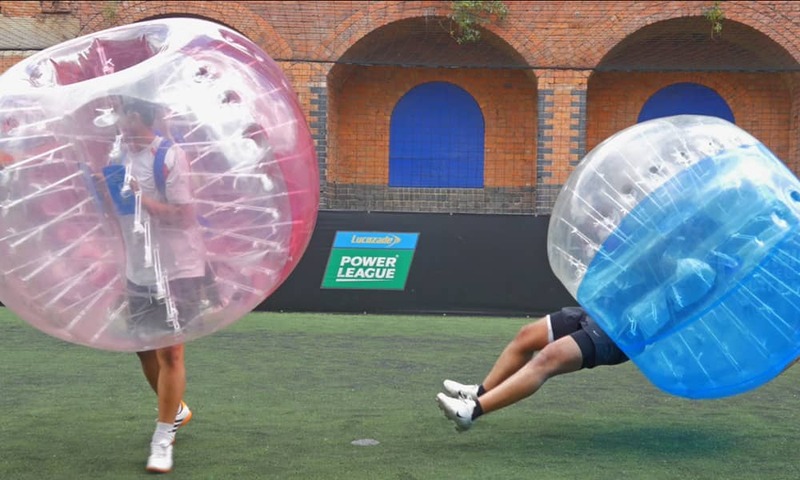 The body-zorbs are a real leveller, so no matter whether you're a newcomer or you've put the bubble suit on before, bubble football ensures enjoyment for all. Just like a normal game of football, the winning team scores the most goals. But if crashing in to your opposing team is more appealing that lifting the cup, we'll leave that in your capable hands. Put the stag, hen or boss in a highly visible pink bib and you have your target practice. Too good of an opportunity to miss perhaps? Your event will begin with a couple of warm up adaptations such as target the main man, extreme bulldog and a brutal last man standing free-for-all! This bubble football game includes everything you need for a great event; an experienced unbiased referee (bribes are optional), huge zorb inflatable balls, all the safety equipment and of course the venue! 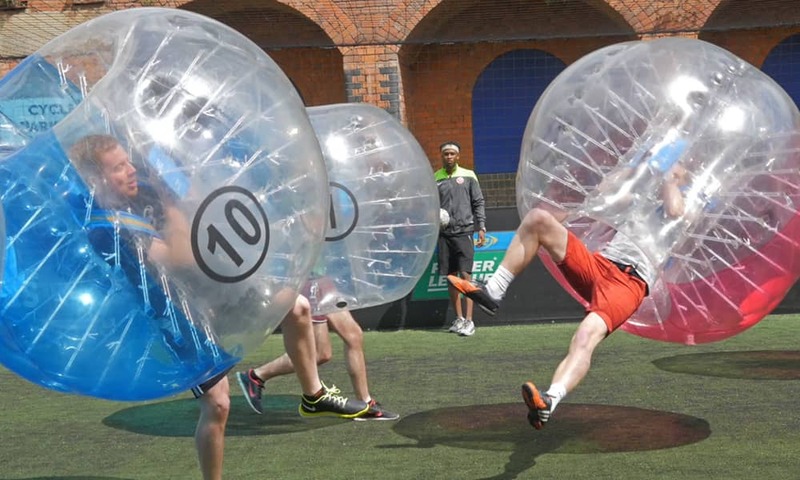 Bubble Football now £25 per person for a limited time, quote the code BUB011 for special rate.